Ranking for popular keywords is not easy. 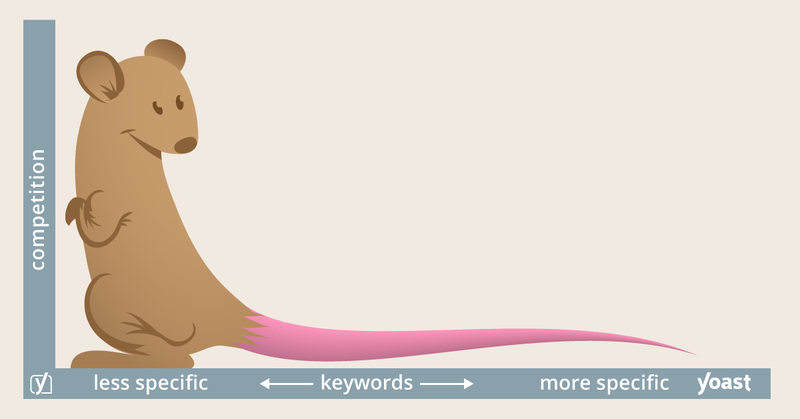 First try to rank for more specific, long tail keywords. There will be less traffic, but also less competition for these keywords, which makes it easier to end up higher in Google’s search results for these specific terms. On top of that, the people that will find you, will be more likely to convert, because changes are high you offer exactly what they’re looking for. As a bonus, if you combine your long tail keyword strategy with a great site structure you might even, eventually, start to rank for the more popular keywords as well! There’s a group of keywords that will have a lot of traffic. Think of words like ‘vacation’ or ‘honeymoon’. There will be loads and loads of people searching for that. But there’ll also be loads and loads of different companies that want to rank for that term. Honeymoon is probably one of the most expensive keywords, in terms of how many competition there is in the entire travel industry. There are long tail keywords that could actually be way better, something like ‘honeymoon south of the Netherlands’ (which is not something you’d want to do, trust me), but it’s a good example of what a long tail keyword looks like. Keyword research and writing great content about those keywords is the very basis of optimizing your website. In our Basic SEO training we’ll teach you how to do this, and more!